Visiting Norway you will find May through September are the busiest months. It is also here you can expect the warmest weather, longest daylight hours and best availability of outdoor activities. In the summer, the average temperature in Norway ranges between 13°-18°C (57° to 65°F). In July and August, the temperatures can reach 25°C - 30°C. Even further north, summer temperatures are rather pleasant – sometimes reaching as high as 25°C or more. The warmest and most stable weather usually occurs on the eastern side of the southern mountains, including the south coast between Mandal and Oslo. Especially interesting time to visit Norway is from mid-May until late July. Here the Midnight Sun phenomenon is at its peak. Above the Arctic Circle, the sun shines night and day from mid-May until late July. If you want to experience the Midnight Sun`s best views, you will have to travel to the northern part of the country. Check out the video on the right site if you are going camping or trekking. Summer weather can be changeable especially in Fjord Norway, Trøndelag and Northern Norway. The Atlantic Gulf Stream keeps the western fjord area and the coast up into the Arctic North much warmer than you might expect. The west coast receives the most rain, but the area farther east is drier. The sea temperature can reach 18°C (64°F) or higher on the south coast, where swimming is a popular pastime. Surprisingly, the water is often calm, as most of the inhabited places in Norway are sheltered from the prevailing wind by mountains and forest. Be sure to take waterproof clothing. 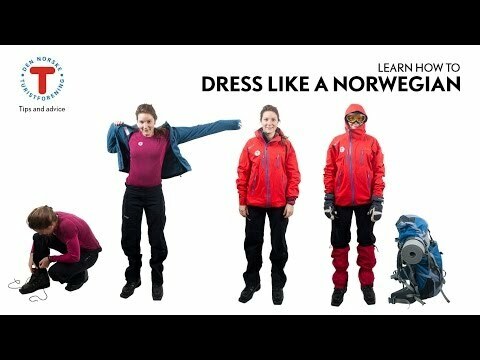 If you should be unlucky with the weather, remember a wise Norwegian saying, "There is no such thing as bad weather, only bad clothing. 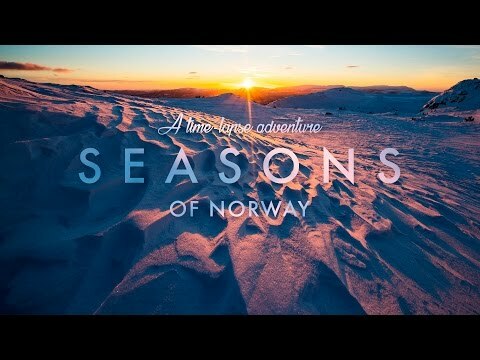 In winter, much of Norway is transformed into a snow-clad paradise from November to April. It is a great time for holidays in Norway’s northern regions, as these months offer the best opportunities for viewing the Northern Lights as well as ideal snow conditions for dog-sledding, snowmobiling, skiing and other winter sports. What about just sitting by the fire in a warm and cozy log cabin is a pleasure for some, as is the friendly, relaxed atmosphere of the hotel bar. In the northern part of the country, you actually will find very low temperatures in winter. Temperatures can reach below -40°C in the inner areas of Finnmark. The royal residence at the top of Karl Johan gate is home to King Harald V and Queen Sonja. Holmenkollen is maybe the most famous sports arena in Norway, but also a historic landmark in Norway. Akershus forms a distinctive silhouette against the Oslo Fjord together with the City Hall below. The Vøringsfossen Waterfall is one of the most visited attractions by the Norwegian Fjords.